At Effman Law, our family law attorneys understand the array of difficulties that emerge when dealing with a family law case. Our 40 years of experience dealing with family cases has taught us how to offer the emotional support you and your loved ones need during such a difficult time. If you are going through a divorce, our attorneys can offer sound advice and representation you can count on. We strive to offer you a comprehensive service that takes every factor into account, including your emotional wellbeing. Whether you are in need of a divorce mediation lawyer in Fort Lauderdale, or a child support attorney in Plantation, FL, Effman Law offers extensive representation to families and individuals throughout South Florida. We focus on your goals and strive to achieve them in the smoothest manner possible. The family law lawyers at Effman Law take pride in the assistance we have been able to provide our clients for over 40 years. Our services do not end at legal counsel, however, as we are well-aware of the emotional toll family law cases can take on those involved. We work hard to offer helpful advice and emotional support throughout your entire case. 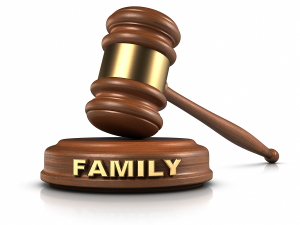 We do not limit our representation to those in need of a divorce attorney or child support lawyer because we want to be your go-to firm for all family law matters in Fort Lauderdale and Plantation, Florida. Our team of family law attorneys specialize in an array of legal categories within family law and include child custody lawyers, alimony attorneys, paternity and father’s rights lawyers, and prenuptial and postnuptial attorneys. Florida law can be complicated, especially as it pertains to families, parents, and children. Unlike many states, legal separation in Florida, which can further complicate your legal issues in the South Florida courts. If you are getting a divorce in South Florida, we understand how taxing the process can be, especially if children are involved. Our experienced team of family law attorneys in Fort Lauderdale are well-versed in Florida divorce and child support laws, making Effman Law a premier legal office in South Florida. If your case has recently taken a turn for the worse and you are now involved with a case regarding child custody matters where one or both parties are seeking full custody, temporary custody, shared parental responsibility, or child visitation rights, our dependable team of lawyers can help you get the results you deserve. If you are looking for a Law Firm South Florida that genuinely cares about you and your family, call us today. Effman’s Family Law Attorneys Fort Lauderdale will work diligently to alleviate the pain and suffering that comes with Family Law cases and do our best to make the process as smooth and comfortable for you and your loved ones as possible.